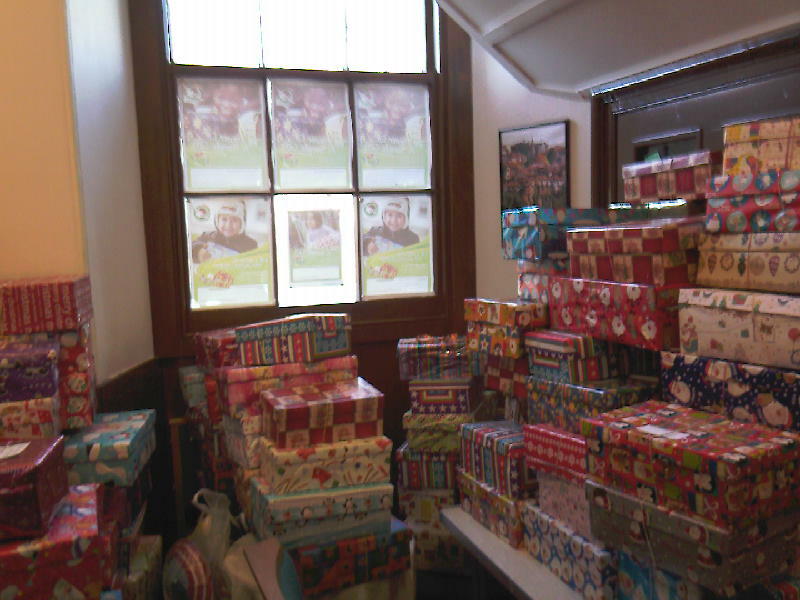 Children in poorer parts of the world will benefit again this year from Operation Christmas Child. 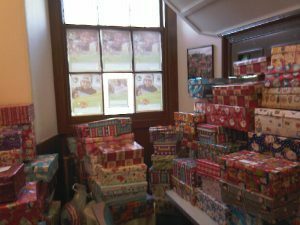 St Columba’s Church again supported Samaritan’s Purse’s appeal by donating hundreds of shoeboxes, filled with Christmas gifts. 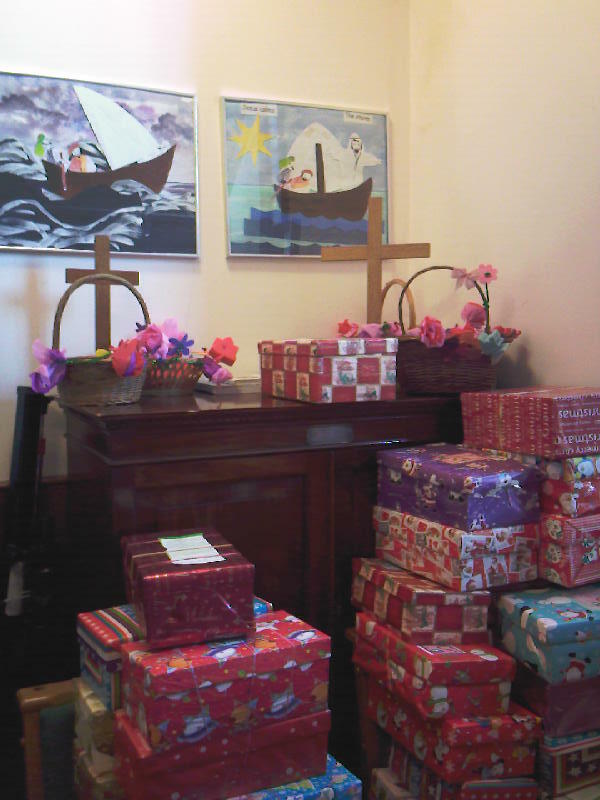 The boxes were brought to church on Sunday 18 November, to be blessed before being sent on to a local collecting point for the charity. Shoeboxes came from far and wide, even from very young children, who had lovingly filled them, with help from their families. It is amazing how many things can fit into a humble shoebox – toys, balls, dolls and teddy bears, whistles, colouring books and pens, toothpaste and brush, and hat, scarf, and gloves (for those in colder countries). Shirley reminded us that it wasn’t fair that children suffer because of troubles in their countries. On Christmas Day, we can think of those youngsters who will also be opening presents because of such gifts. Everyone who has contributed has made a difference. Helpers from Samaritan’s Purse were delighted with the 200 boxes collected by St Columba’s, which was the biggest collection they had received so far this year.